Fertilizing your lawn involves more thinking than just throwing down some fertilizer. It can be difficult to gauge how much water to use, or the size of lawn, and how to properly fertilize lawns. In this brief guide we will inform you about what you should consider in order to properly fertilize your lawn. 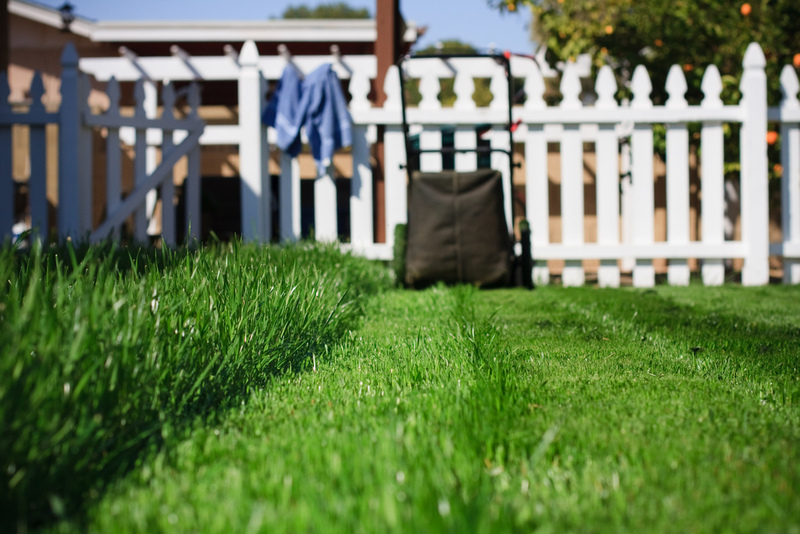 Even though watering your lawn can prove to be serious work in the midst of a Texas summer, it’s essential to keep your lawn green and luscious. Rather than wasting water, you should start measuring how much water you need, especially while fertilizing. A great way to gauge how much water you will need comes to us through rain. Depending on how much rain you receive a month, you should use around an inch of water overall. So, if there’s an inch of rain, you are good for the week. If there’s ¼, add ¾ to get to the 1 inch of water. This absolutely varies with sizes and seasons, but if you want to have a beautiful lawn for as many seasons as possible, you should consider this method. Don’t forget that healthy grass roots are usually about 6 inches deep into the ground! Extra water never hurt grass. Regardless of cold or hot temperatures outside, the proper fertilizing time depends on the type of grass, and should happen just before the grass reaches peak growth. The size of your lawn is another element to factor before fertilizing your lawn. You should be able to decide if your lawn requires a rotary spreader, which is for larger areas, a drop spreader, which is for medium areas, or a handheld spreader for smaller areas. With these ideas in mind, you should be on your way to having the best lawn in your neighborhood! This entry was posted in Landscape Services, Landscaping Tips, Lawn Care Services, Lawn Maintenance Tips and tagged fertilize, irrigation, lawn maintenance by admin. Bookmark the permalink.